Ben Pumo admits that 10 years ago, he was sleepwalking through life. Then he used a saute pan. Ben Pumo talks with customers Thursday at his Land O’Lakes restaurant Benedetto’s. Ben Pumo’s path to salvation started with a daily walk to work along a thin cracked concrete sidewalk on a road called Sunset Lane. Three DUIs meant he had to walk. This was late 1998, where he lives in Lutz, and the walk went past a post office, a Dollar Tree, a Winn-Dixie, and to Villaggio Italian restaurant, where he had a job washing dishes. It’s only 1.2 miles, but that was a long walk in every other way – every day, over and over, there in the light and back in the dark. But it led, somehow, to here, an unlikely success story in an unlikely place, his own award-winning Benedetto’s, in a converted Captain D’s fast-food fish joint, in the middle of the parking lot of the old Village Lakes Shopping Center with an Amscot and a Wal-Mart with a fading blue sign. 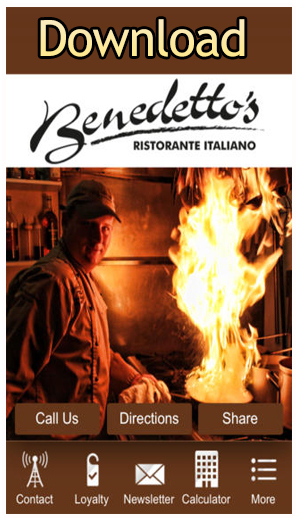 Benedetto’s has been among Florida Trend’s best 500 restaurants five straight years and is Pasco County’s only pick on the list, and Pumo, 33, is the owner, the head chef and the face on the billboards on U.S. 41 and State Road 54. Now his walk is from table to table during the busy dinner hours. Smiles, small talk and hand shakes. This is more than just a story about a little restaurant that’s done big things. How does a guy go from being a drug-using, drunken-driving, kicked-out-of-college screw-up to being a husband, a father, a cancer survivor and arguably one of the best chefs in Tampa Bay. What this is, say those who knew him then and know him now, is the story of how a saute pan saved Ben Pumo. The kid was a Boy Scout. His grandfather was a builder of homes. His father builds and rents warehouse space. In Miami Shores, Pumo grew up comfortable, went to Catholic schools, ate at nice restaurants. He was hard-working and had an entrepreneurial instinct. He worked in a bowling alley and was a lifeguard in the summers. He ran a soft-serve ice cream machine in a concession stand at the local ball field. He sold $2 bills to classmates – for $3 and $4. When he grew up, he wrote in his eighth-grade yearbook that he wanted to own his own barbecue restaurant. Then he came to Saint Leo University. He rented a house in San Antonio, put in a bar, put in a fog machine, put in laser lights, took to calling it the House of Blues and charged admission. His life was a party, and his house was the host, which led to him not going to class as much as he should have, which led to the folks at Saint Leo telling him he had to leave. He cleaned pools for a while. He drove a Budweiser truck for a while. He lived with a couple of Mons Venus strippers for a while. His criminal record starts in ’95. There’s a possession of marijuana. There’s another one. There’s a DUI in’ 98. There’s another one later that year. There’s another one the year after that. One time his license already had been suspended. Another time he didn’t even have to be pulled over. It was after 4 in the morning, his black Toyota pickup was stopped in the middle of the road, and he was asleep at the wheel. One of those years, at this point he’s not even sure which one, Pumo was getting ready to get on a flight to go home to Miami for Christmas. He had no money for gifts for his family, and was ashamed about that, and he looked in the mirror in the bathroom of his house in Lutz. “What the f— are you doing?” he asked. He washed dishes at Villaggio. Then he chopped parsley and grated cheese and baked bread. Then he picked up a saute pan. In the middle of 1999, Elizabeth, his best friend from grade school and high school, moved in with him. They were engaged within a year and a half. She made him want to do right. In the fall of 2000, he started cooking on his own in Whisky Willie’s bar on N Dale Mabry, working out of the kitchen in the back, doing cheeseburgers and chicken wings to one crowd … and lasagna and shrimp scampi to another. A fire in April 2001 ended that. By then, though, he knew what he wanted. He fixed on the vacant Captain D’s in the Village Lakes Shopping Center near State Road 54 and U.S. 41. He went to Miami and made a presentation to his grandfather. The Pumos bought the property for more than half a million dollars in 2001. Now he had his place. He married Elizabeth in August 2001. They honeymooned in Jamaica. Now he was a husband. Elizabeth gave birth to their daughter, Alyssa, on July 16, 2003. Now he was a father. Not two weeks later, though, he was diagnosed with testicular cancer. Chemo, five hours a day, five days a week. Three different surgeries. He went to work at his restaurant, when he could, in the evenings. Sometimes that was in a wheelchair. Outside Benedetto’s are neon lights, a KFC, a Beef O’Brady’s, a Goodwill storefront. Down the road is the new Chili’s, the new Carrabba’s, the new Bonefish Grill. Inside, though, is warm light, dark wood, a man playing Sinatra on the piano and servers in all sleek black except white suspenders. Women have their hair done and broaches on their blouses. The kids come here for prom. Their parents come here for birthdays and anniversaries. People come from Tampa, Brooksville, Port Richey, Zephyrhills. The bartenders know names. On the walls are photos and stories. 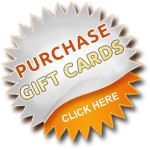 The people who know Pumo just think he finally found his gift. When he’s not at the restaurant, he takes his daughter to Disney World, Busch Gardens, the Lowry Park Zoo or the Chuck E. Cheese in Tampa. He’s been the member of the year of the Central Pasco Chamber of Commerce. He’s been the honorary member of Land O’Lakes. He’s donated generously to Relay for Life. And the restaurant? It marked six years last fall. “The restaurant holds him,” his sister said. “It holds him solid. One Friday night last month, there were people in the main dining room, there were people in the auxiliary dining room, there were people on the porch. There was a party of 30. When it got crazy busy, Pumo got in the middle of the line by the blue-flame burners and worked with a two-fisted, sweaty-headed purpose. Order after order, in the middle of all that chaos in the kitchen, he kept reaching for those saute pans. News researchers Angie Drobnic Holan, Carolyn Edds and Mary Mellstrom contributed to this report. Michael Kruse can be reached at mkruse@sptimes.com or 813 909-4617.